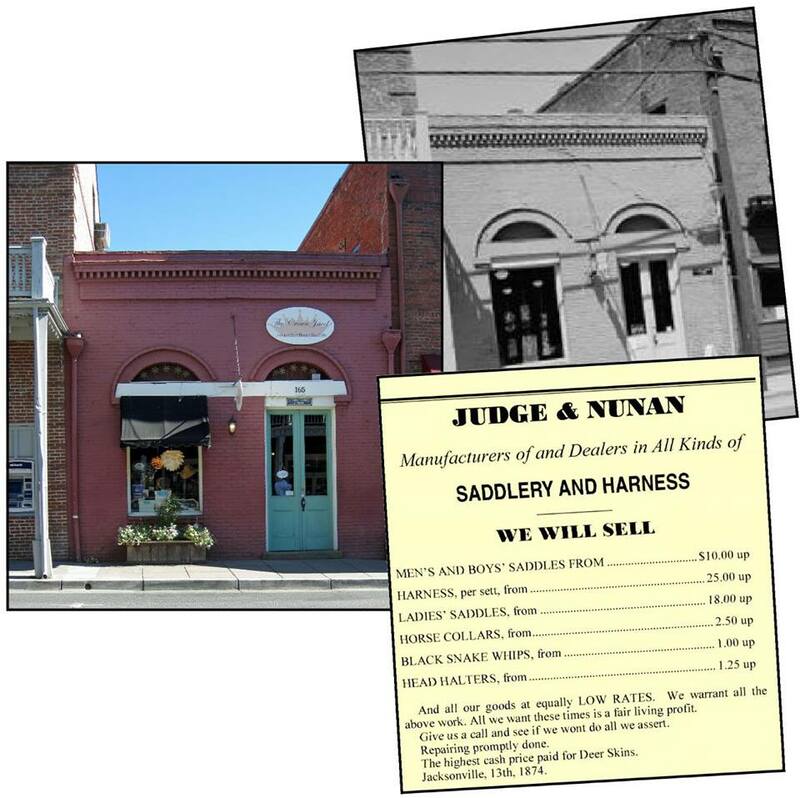 Judge & Nunan Saddlery | Historic Jacksonville, Inc. The small brick building at 166 E. California Street, tucked between the Jacksonville Inn and the U.S. Hotel, originally housed the H. Judge and Nunan Saddlery and Harness Shop. Constructed in 1874 following the disastrous fire that had wiped out the entire block the previous year, the building replaced Horne’s Hall, a 2-story building with rooms and offices below and “a steel sprung floor on the second floor expressly made for dancing.” One year later, Henry Judge, one of the town’s first trustees, broke his partnership with Nunan. Jeremiah Nunan continued to operate the business but by the early 1880s was dealing in general merchandise rather than saddles and harnesses.